Think Timeless Elegance – at a NEW ATTRACTIVE PRICE! 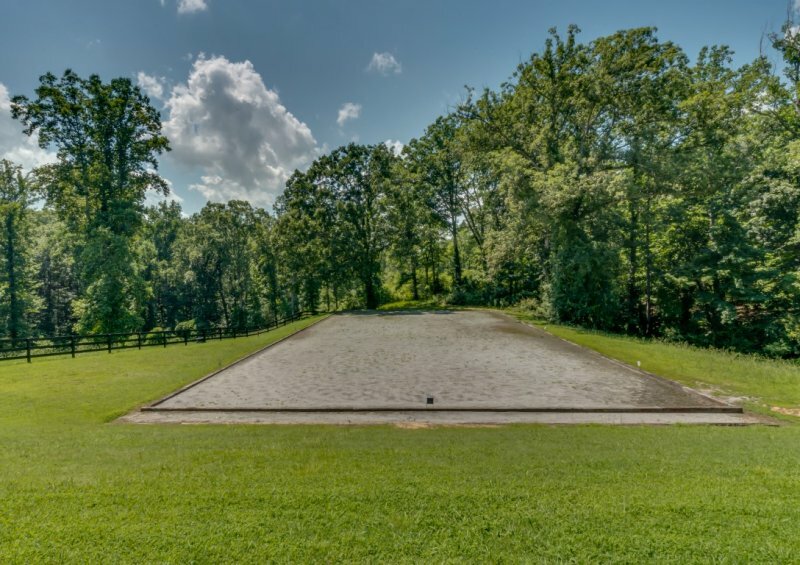 Think Timeless Elegance – Escape to this luxury home on 27 acres in desirable “Hunting Country”. 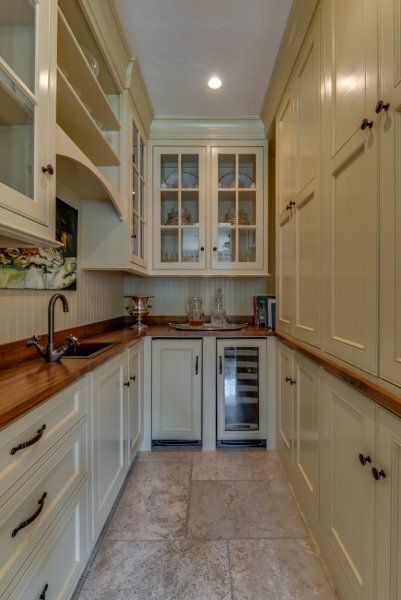 One floor living at its finest with great attention to details – stone, tile, granite, beams, wood floors and more. 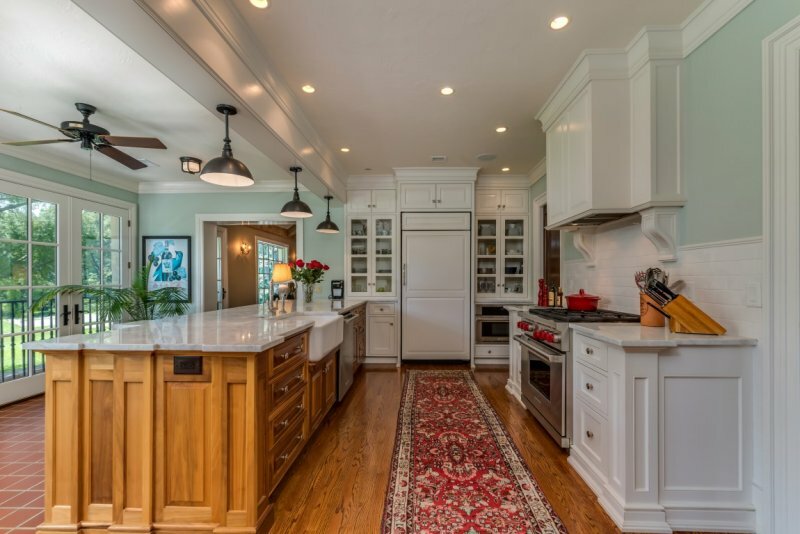 Inviting vaulted beamed ceiling living room, elegant dining room, lavish master suite, paneled library, gourmet kitchen with sunroom, keeping room, guest suite, long gallery, mud room, and large laundry room. 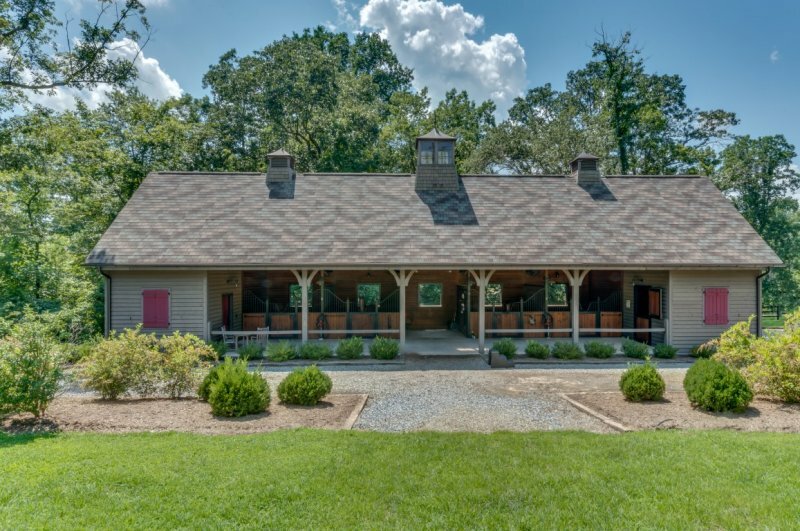 Plus, custom 4-stall barn – tack room & wash stall, board fenced pastures, arena. 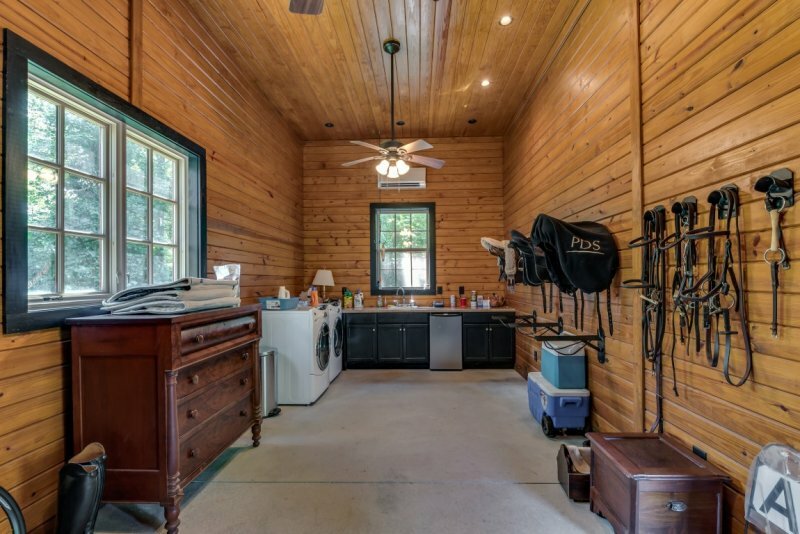 Access to FETA trails, convenient to Tryon and Landrum, SC and only 20 minutes to Tryon International Equestrian Center. 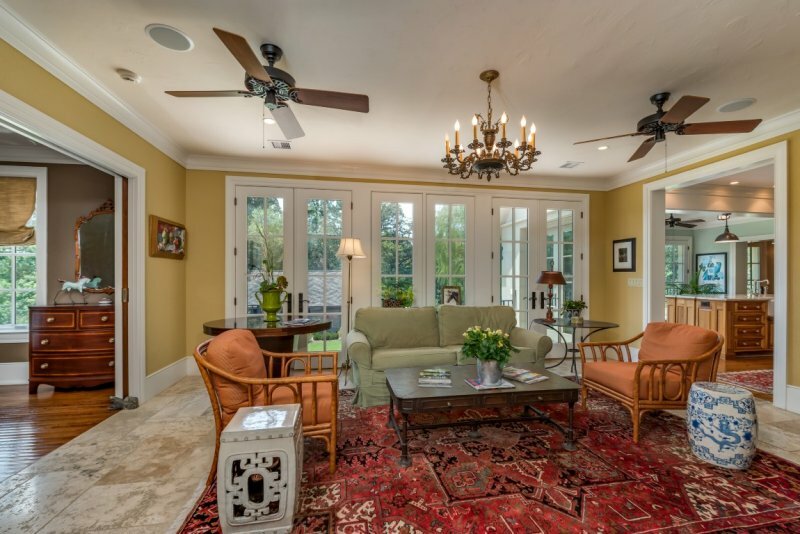 Foyer – Antique door opens to a long grand foyer with lovely oak floors. 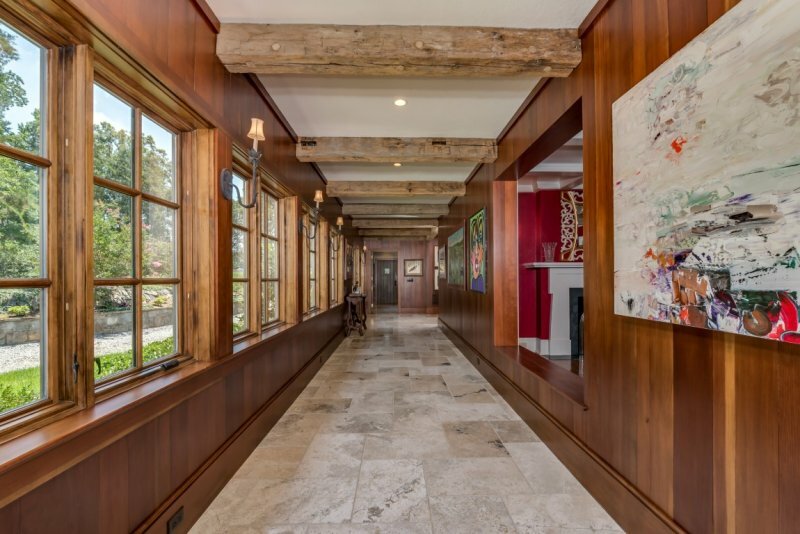 Gallery – The gallery with travertine tile and antique beamed ceiling affords abundant windows and wall space to feature your curated art collection. 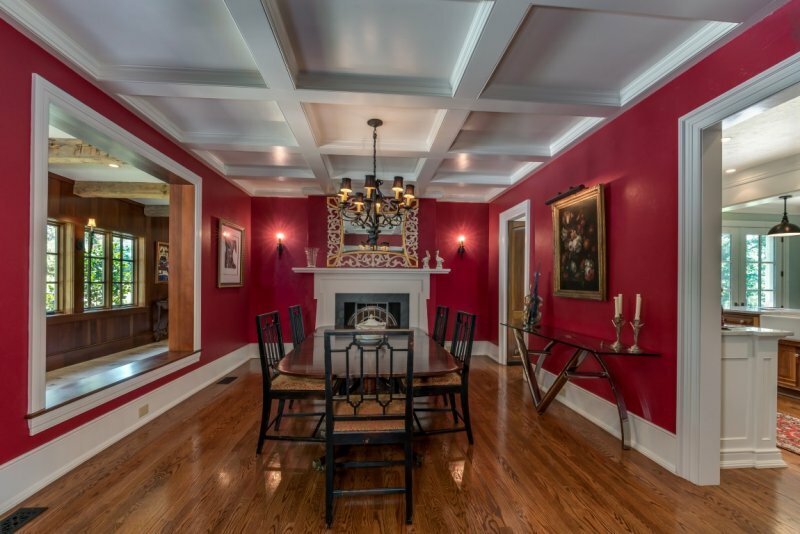 Dining Room – The stately dining room has a beautiful coffered ceiling, oak floors and a decorative fireplace. 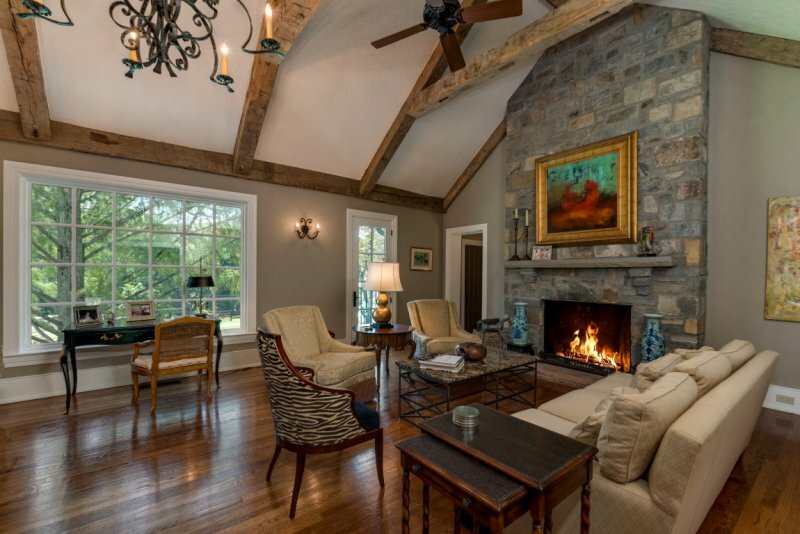 Living Room/Wet Bar – The spacious living room includes decorative wood beams, a picture window to enjoy the view, and a wood burning gas assist fireplace with floor to ceiling stone surround. 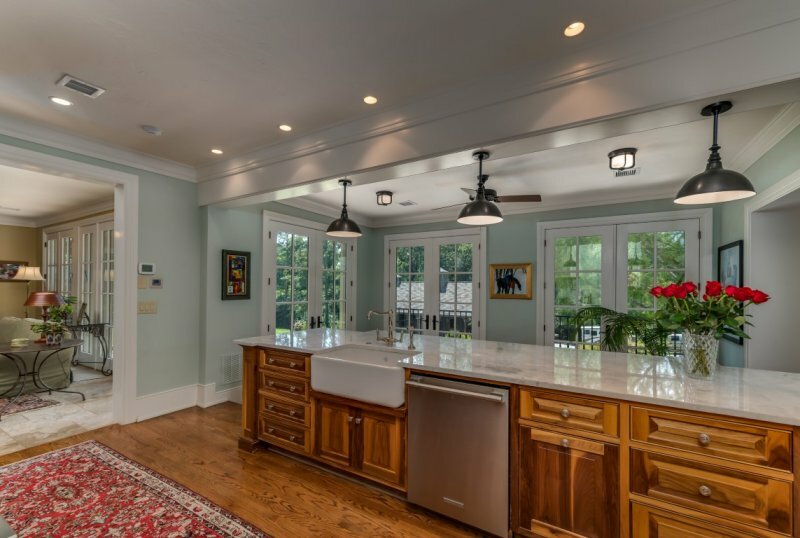 Kitchen/Sunroom – The gourmet kitchen has a farmhouse sink, custom cabinetry with Carrera marble counters, stainless appliances, a walk-in Butler’s pantry, oak floors, and a sunroom with terracotta tile for your favorite tropical plants. 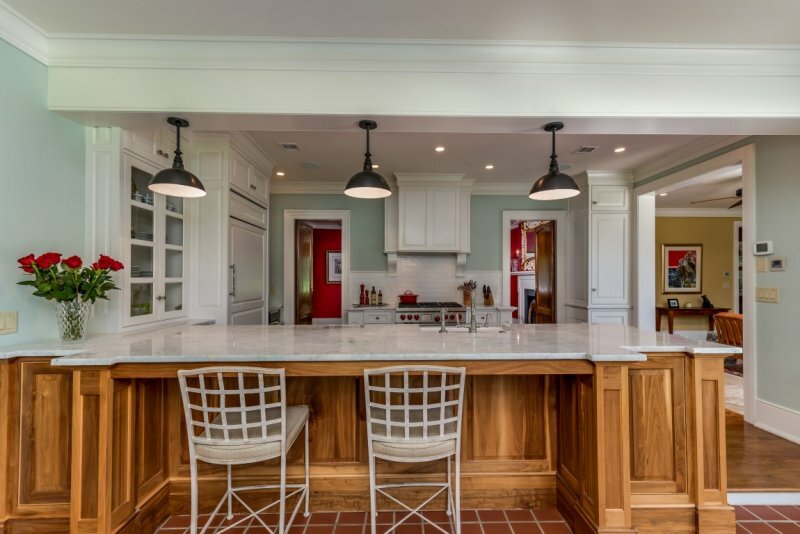 Keeping Room – The keeping room is a casual yet elegant space with travertine tile and a wall of French doors, perfect for planning your day or relaxing at the end of the end of it. 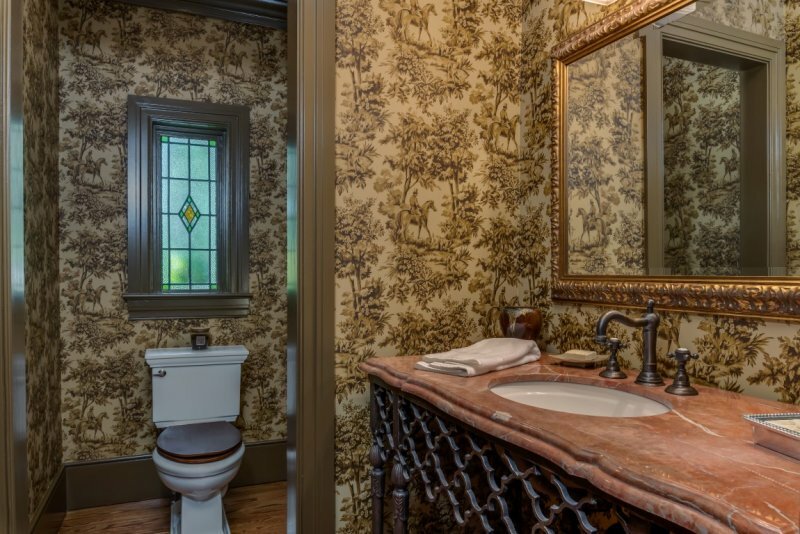 Powder Room One– The first powder room is off the guest foyer and features pastoral hunt scene wallpaper. 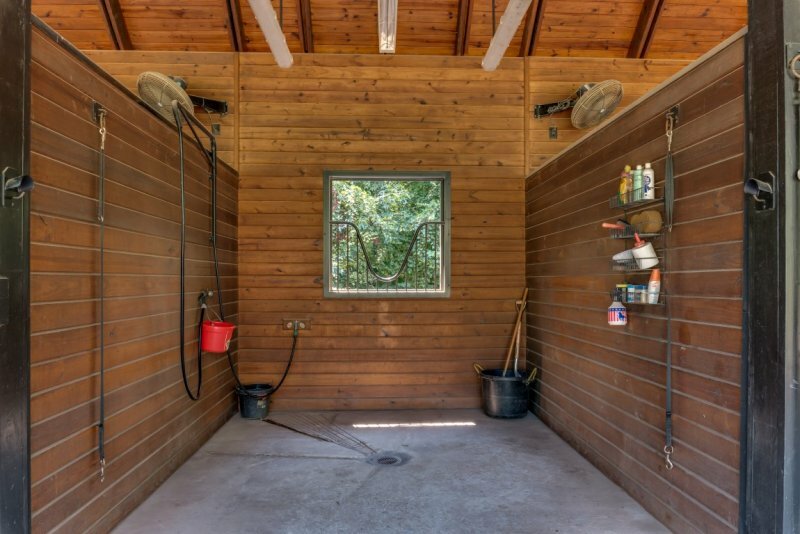 Laundry Room – The spacious laundry room has plenty of room for the full-size refrigerator, a full counter with sink, and room for a full washer & dryer. 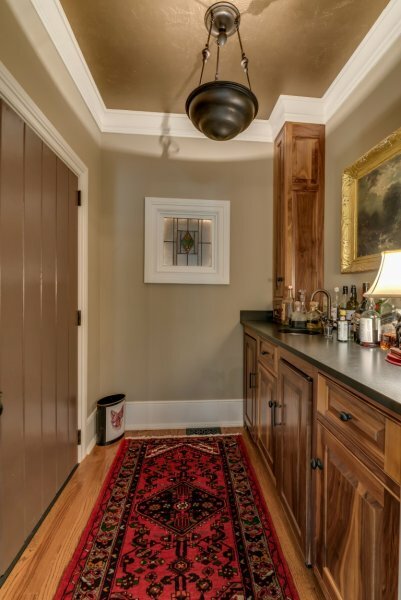 Mud Room – The wainscot lined mudroom has a door that opens to the laundry room counter. 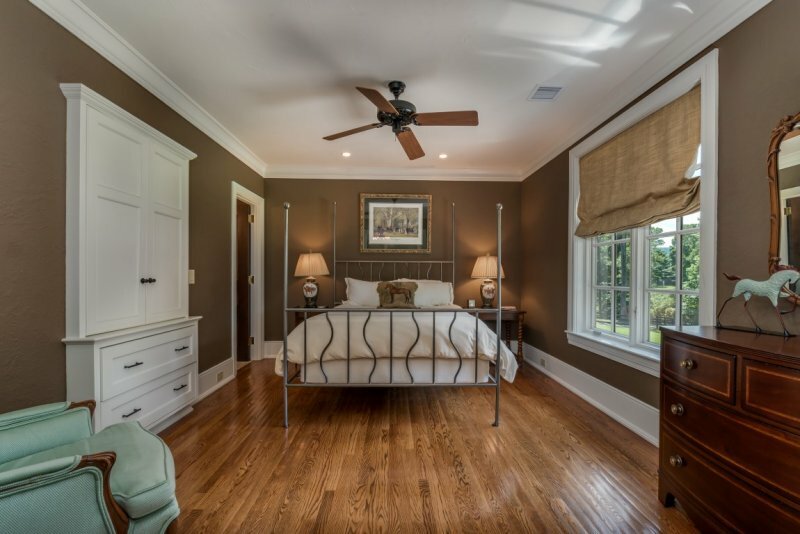 Guest Suite – A large guest bedroom with custom built-in is just off the keeping room for guests who may want a little quiet time. 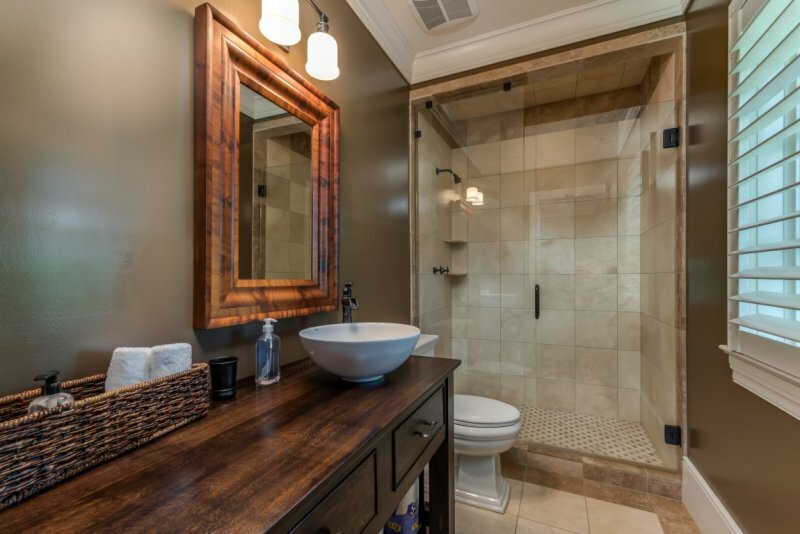 The guest bath has a wood vanity with vessel sink, separate shower, and plantation shutters on the window. 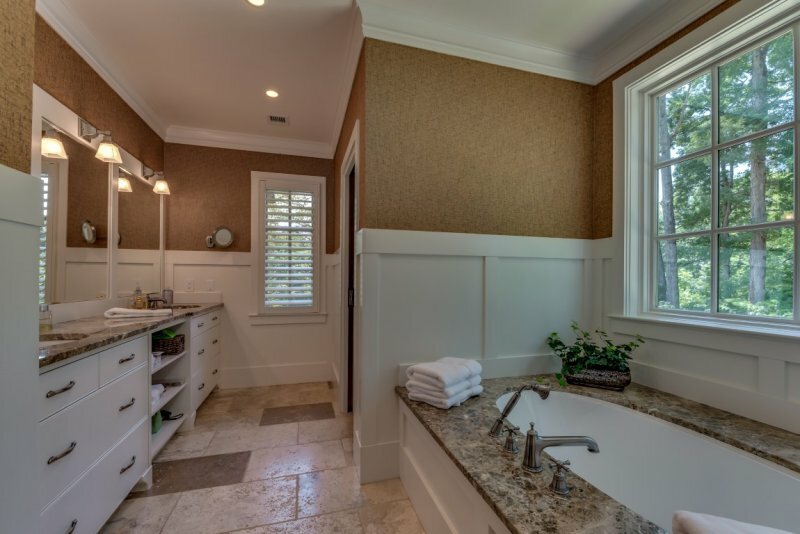 Powder Room Two – The second powder room is on the master side of the house and features a custom vanity and vessel sink. 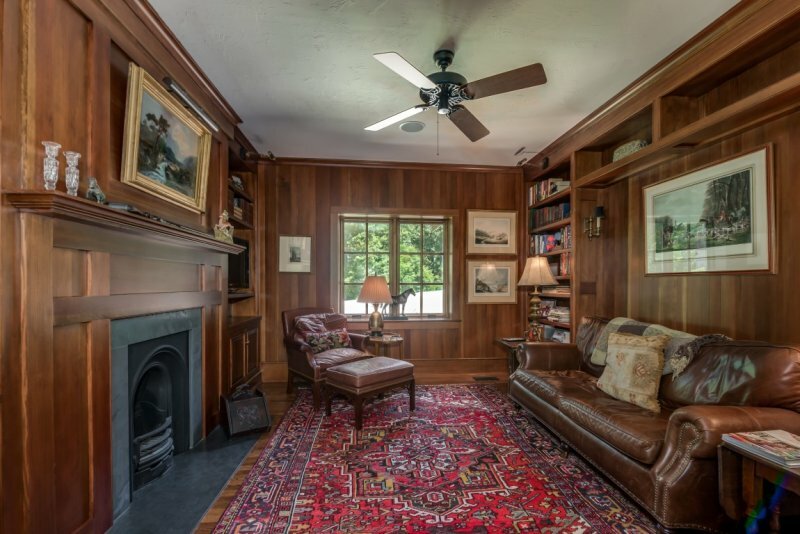 Library – The cozy library is covered with wood paneling, bookcases, and built-ins for the book lover. A unique charcoal burning fireplace is extremely efficient. 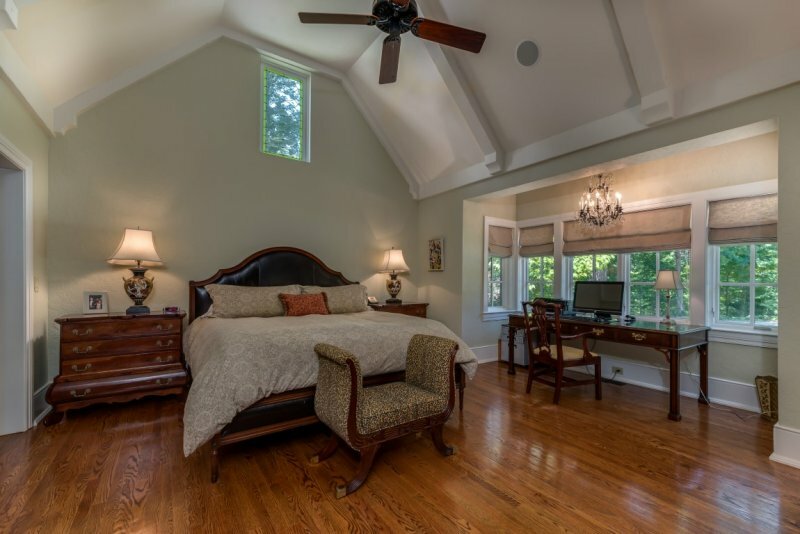 Master Suite – The large master suite is a mix of cozy yet spacious. 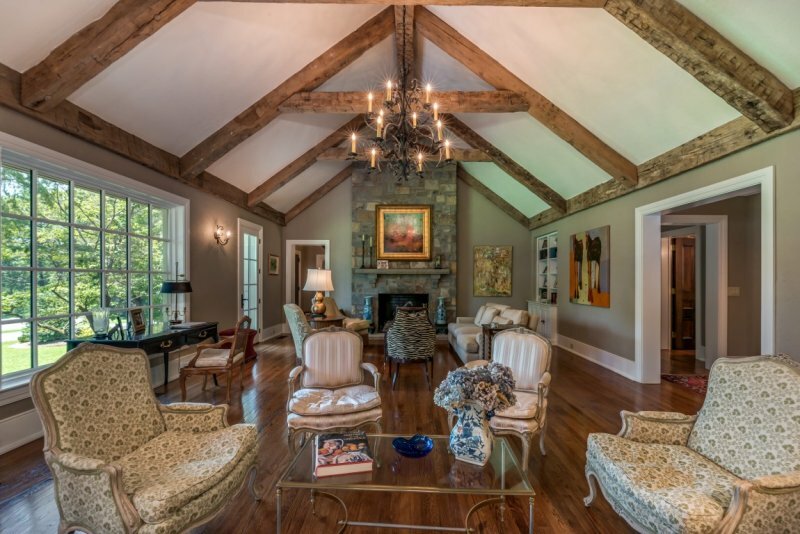 Beamed cathedral ceiling brings your eye up to enjoy the light-filled space. Dual walk-in closets give plenty of storage room for all your favorite apparel. 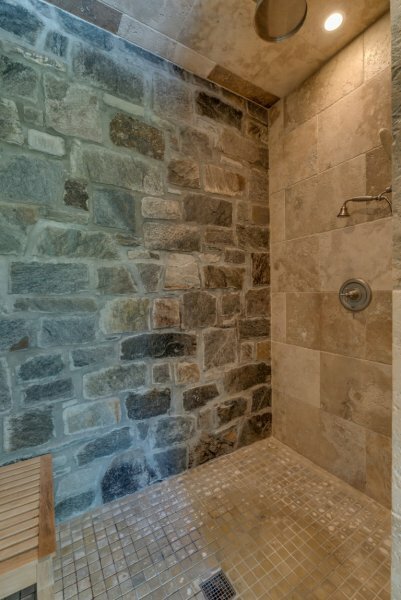 Master Bath – The master bath has a walk-in shower with travertine tile and stone wall. Dual vanity with granite counters. Soaking tub for relaxing. Water closet with toilet and bidet. 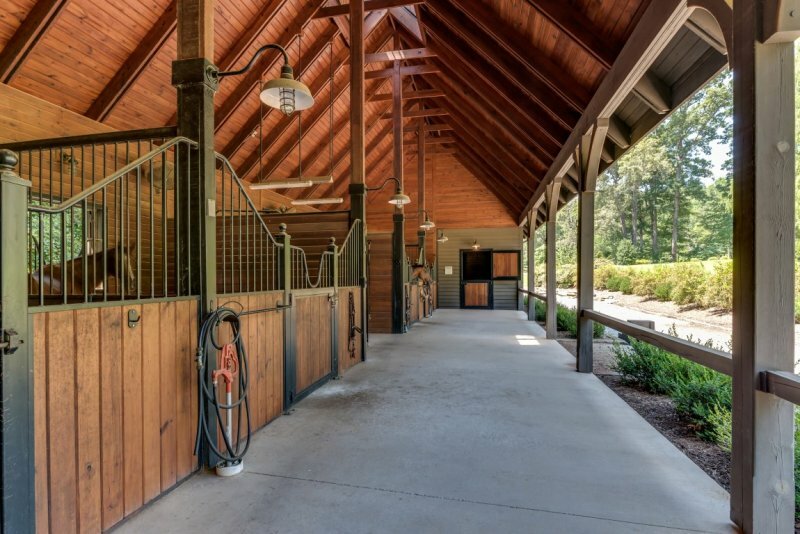 4-Stall custom shed row barn with wash rack, heated/cooled tack room, and feed room. FETA trails access for your riding pleasure. Grand gated stone column entry. 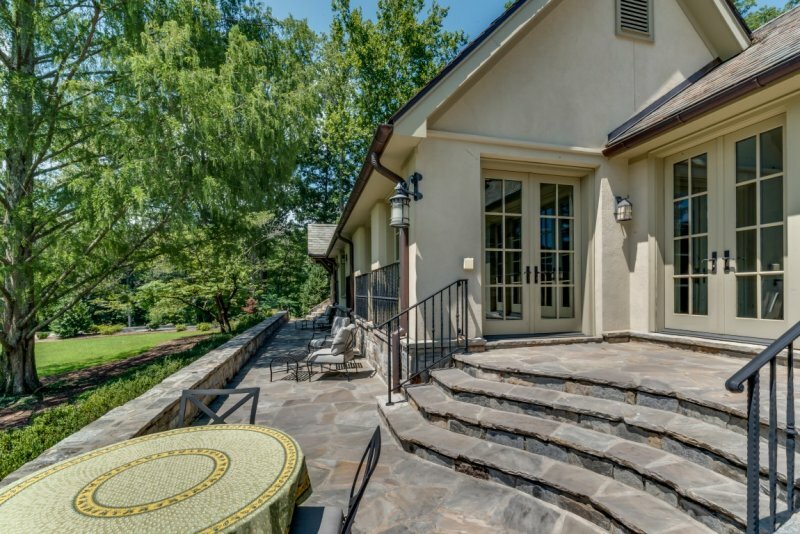 Large flagstone patio, perfect for entertaining. 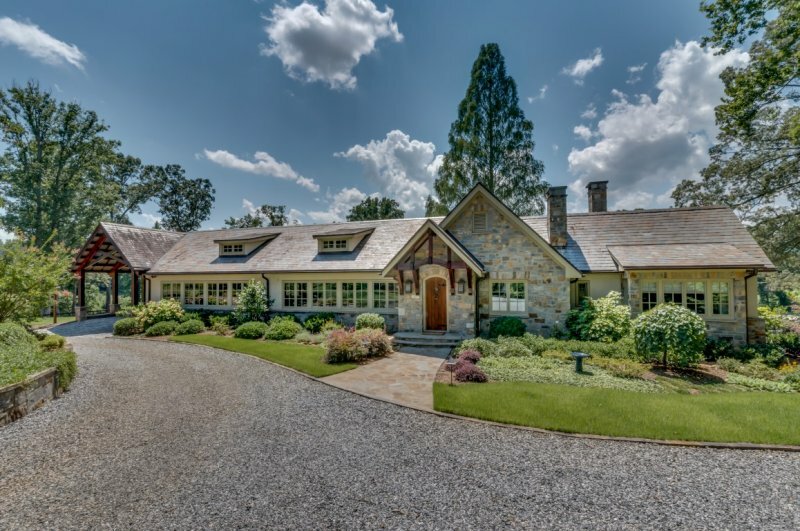 Convenient location amongst the horse farms of Hunting Country. 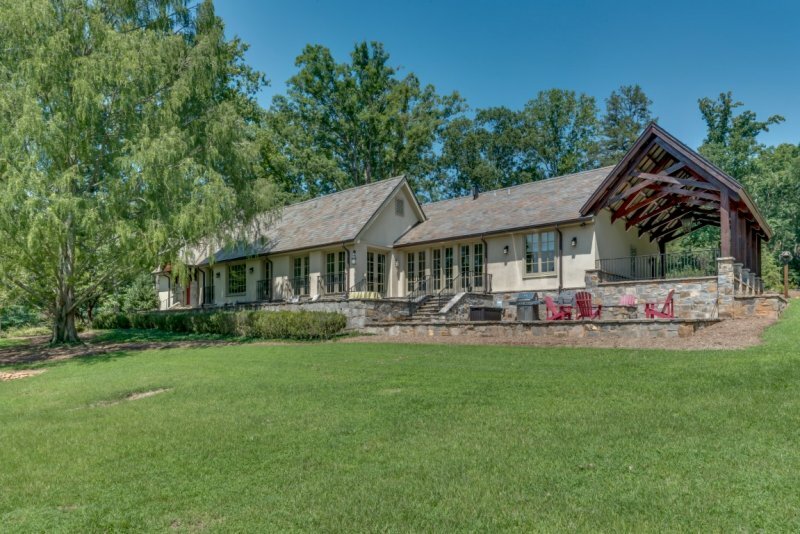 27+ acres with pasture and woods. Plenty of room to expand. 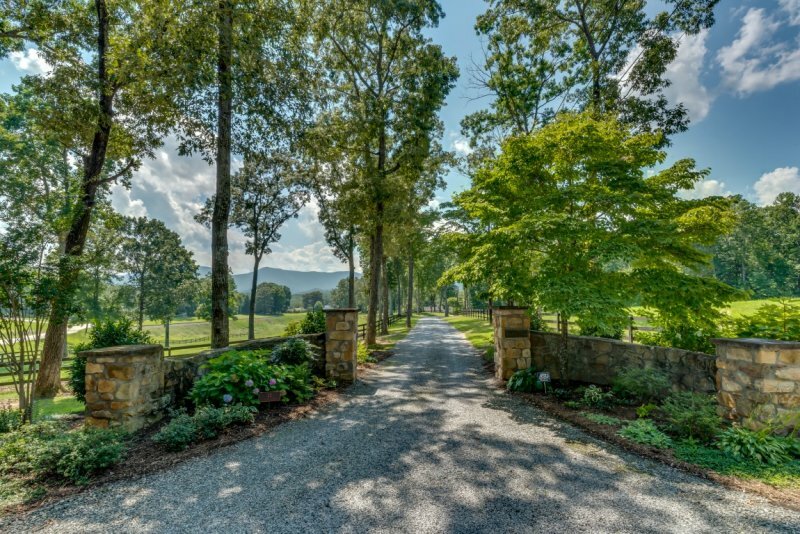 Just 5 minutes to Tryon NC or Landrum SC and 20 minutes to the Tryon International Equestrian Center.